Hydro jetting of Heat Exchanger Tubes, Cleaning of complete Heat- Exchanger, Repair / Hot work of all components, Hydro testing. Offering Equipment Specific Hydro jetting Solutions. 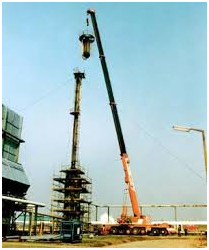 We carryout re tubing at client’s site and also at our works as per requirement of client. This work is undertaken using latest tools like tube pullers, expanders etc. 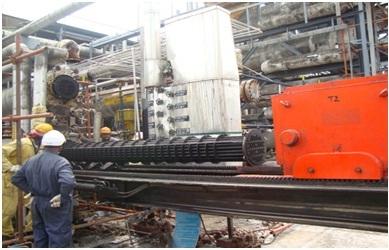 Removal of Trays, Packing, and Bubble caps, Packing rings of column-mechanical cleaning of internal wall of column with hand tools, Pneumatic & electrical tools, cleaning of internals, repairing of Trays, Re-box up of Trays, Mock Assembly, loading of packing rings in column and Hydro test of column. Cleaning and Hydro testing of all type of vessels, tanks, spheres, Agitators. 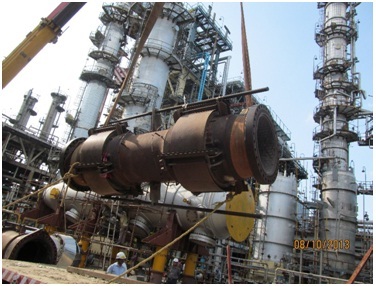 Repairs and Replacement of damaged tubes / coils, refractory works, repair of casing plate, re visioning of burners, Soot Blowers and box up. 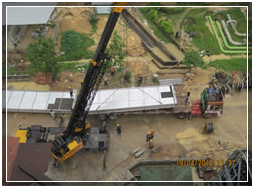 Opening, Scaffolding, Repair /Replacement of Refractory, Cyclones, Reactor Internals, Slide Valves etc. 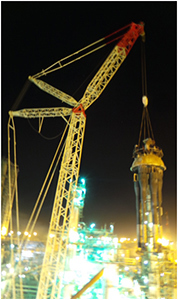 Fabrication and Erection of all types C.S, S.S, alloy steel, Cladded material. Replacement and Repairing of flare Tips. Maintenance of Boilers and HRSGs, CO Boiler. We are IBR certified to carryout said works.